For the flower designs I always use very high quality Egyptian cotton to work on. This produces the delicate detail and enables the fine crackle backgrounds. 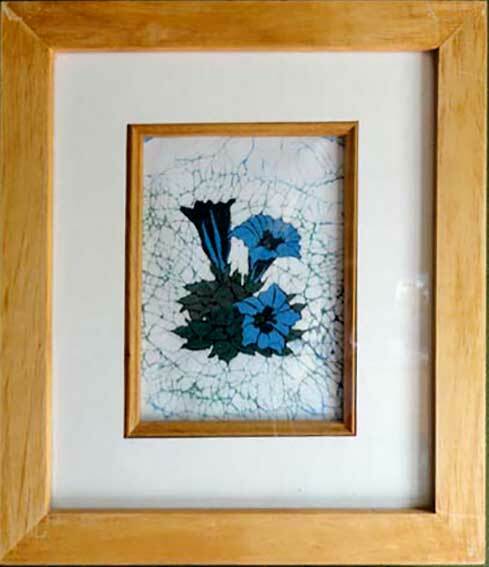 The marbled crackle effect, so typical of Batik, is created by cracking the wax and then applying dye and working it into the cracks. The finer the cotton, the more delicate I can get the cracks. 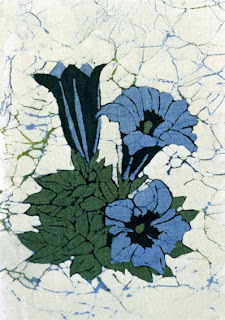 I have used this popular 'Gentian' design on a lampshade and it is also reproduced in my greetings card range.